Unless you’re a local news junkie, you may not know about impending winter storms until it’s too late. Check the weather, road conditions and traffic before heading out the door each day. When a storm is impacting travels, leave early so you don’t feel the need to rush. If the public is being advised to stay off the roads, consider making alternate arrangements if at all possible. Should you have to drive, let a loved one know your planned route in case of emergency. Battery: The cold can drain your battery. Ask a mechanic to confirm that your battery can make it through the winter. Windshield: You can go through a lot of wiper fluid in the winter, so check your fluid after each big storm. Replace windshield wipers with worn blades. Heavy-duty or winter wipers are a good idea if you get lots of snow and ice where you live. Lights: Replace burned out bulbs so you can see and be seen during storms. Tires: If you plan to have snow tires put on your car, do so before the first snowfall. Otherwise, check your tire’s tread and pressure on a regular basis. While you can check these items on your own, taking your car to qualified mechanic is wise. A mechanic should be able to check on parts most affected by cold and could remember to inspect something you would have missed otherwise. If you find yourself having to drive through sleet, ice or snow, minimize distractions in your vehicle to avoid a car accident. Turn off the radio, put down mobile devices and ask any passengers in the vehicle to stay quiet so you can focus on the road. Your safety and the safety of other passengers and drivers is important. You can easily lose control of your car when roads are slick. During inclement weather, leave a larger following distance than you normally would and drive at slower speeds to avoid slipping on black ice. If you have anti-lock brakes, familiarize yourself with how they work. Otherwise, you will need to pump your brakes if you start to lose traction. 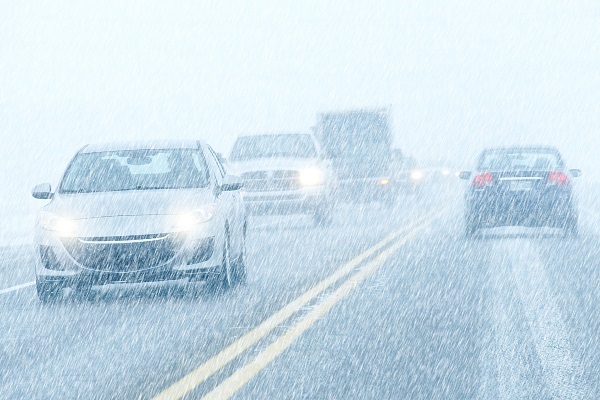 If you’ve been involved in a car accident this winter, you may be wondering what to do next. Our experienced attorneys can help determine who is at fault, and they will fight to get you compensation for any damages or injuries you sustained. Contact Johnson & Biscone at 405-232-6490 for a free consultation. We serve clients in Oklahoma City, Edmond, Norman and throughout the state.